This article is a step by step breakdown on how to enable custom colors for statuses per company brand. This is done so that you can easily recognize the different statuses. To learn more about reservation statuses, click here. Here, select “Yes” under “Enable Custom Colors for Statuses per Company Brand” as shown in the picture below highlighted in orange. Thirdly, click on the blue “Save” button located at the bottom of the page. Next, navigate to Settings > Fleet > Company brand and select the particular brand highlighted in dark blue and orange in the picture below. Next, navigate to “Reservation Status Colors” section as shown in the picture below. You can select the different color by clicking on the color button as shown in the picture below. 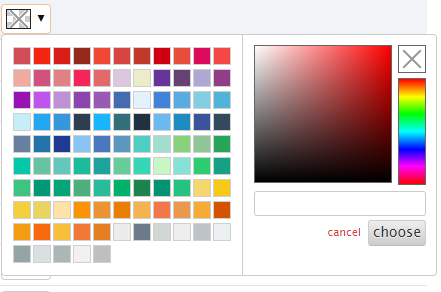 Click on the grey “choose” button to select the color that you have chosen. 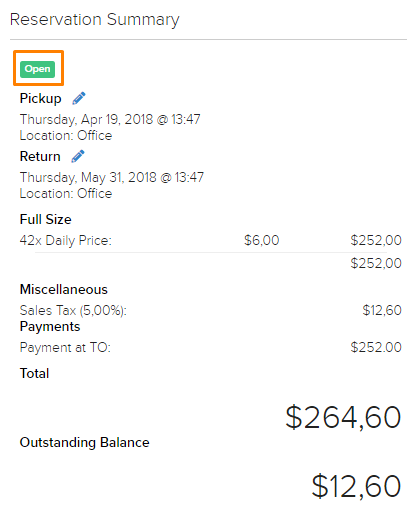 Once you are done, click on the blue “Save” button located at the bottom of the page highlighted in orange in the picture below. In this example, we selected the color Green for the “Open” status which was previously Orange, as shown in the picture below.